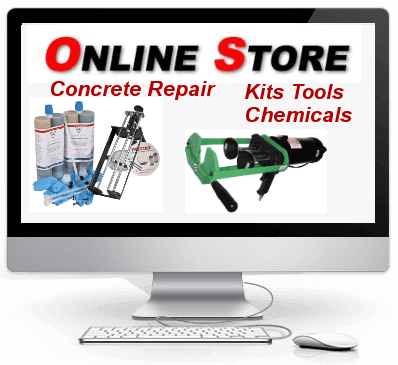 KOSTER 2 IN 1 acts like a single component injection resin if it comes into contact with water. In this case, it reacts to form a highly elastic foam. 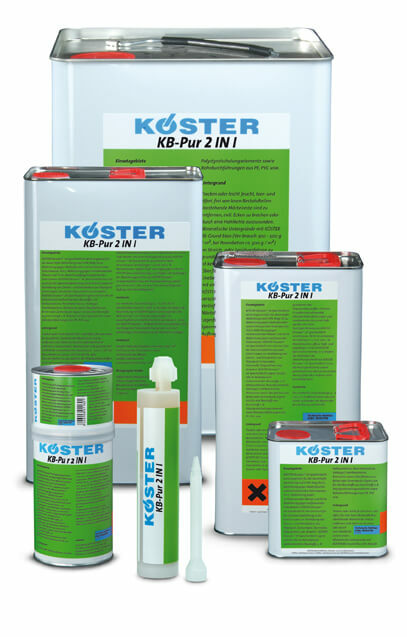 KOSTER 2 IN 1 acts like a two component injection resin under dry conditions. KOSTER 2 IN 1 remains elastic after reacting. 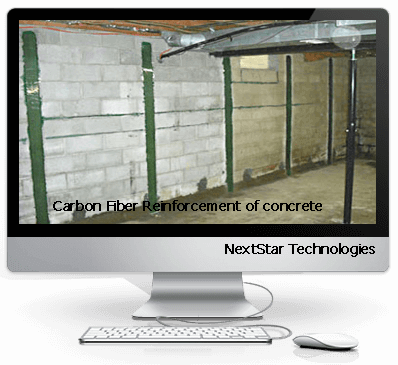 It is able to follow crack movements and seal cracks permanently with an elastic polyurethane solid resin without the need for follow-up injections. KOSTER 2 IN 1 is a fast reacting foam for the short term closure of leaks as well as an elastic solid resin for permanent closure of cracks. KOSTER 2 IN 1 therefore combines two resins into one product. 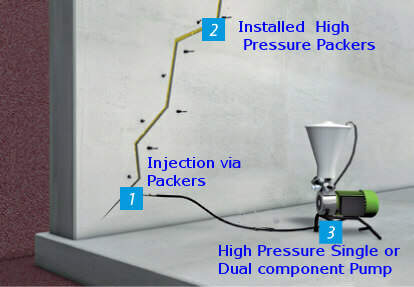 KOSTER 2 IN 1 is solvent free and is resistant to hydrolysis. 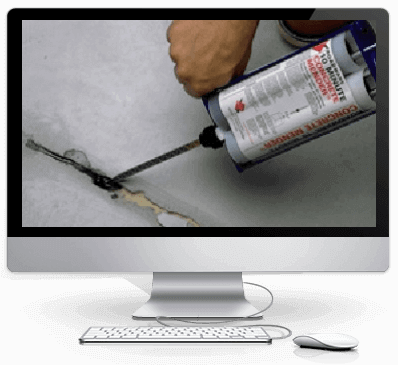 KOSTER KB-Pur 2 IN 1 is the standard material for waterproofing cracks. The material forms a foam when it comes in contact with water and stops it by reacting with the water or displacing it. 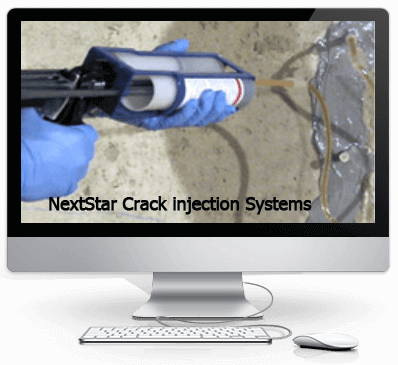 A second injection using the same material permanently and elastically waterproofs the crack.